Consumer credit card debt continues to climb. In December 2017, consumer credit grew by $18.4 billion to a total of $3.841 trillion. Distressed consumers might be considering debt consolidation with a home equity line of credit (HELOC) or home equity loan. No matter how precarious your finances, using your home to consolidate credit card debt is usually a terrible idea. Instead, consumers should consult with a Florida bankruptcy attorney to discuss more sensible options, including bankruptcy. When you consolidate debts, you use a larger loan to roll over a series of smaller loans. For example, if you have two credit cards with balances of $5,000 and $10,000, you can use a $15,000 loan to pay off both. If your new $15,000 loan has a lower interest rate than your two credit cards, you can reduce the amount you owe each month and the amount you pay over the life of the loan. Because home equity loans and HELOCs have relatively low interest rates, you might be tempted to use them to consolidate unsecured debt like credit cards and medical debt. Unfortunately, using your home in this way carries a huge risk. Debts come in two varieties—secured and unsecured. With secured debt, you pledge some asset to act as collateral, which means your creditor can seize the asset if you default on the loan. When you take out a home mortgage, your home serves as collateral, which is why the bank can foreclose on the home and kick you out if you default. Like regular mortgages, HELOCs and home equity loans are also secured by your home. This means if you default on these loans, you might lose your home in a foreclosure. By contrast, debts like credit cards and medical debt are unsecured. You were issued credit based solely on your credit history and income, with the creditor taking a risk that you might ultimately default. If you do default, the creditor cannot seize any asset, which is why credit cards have higher interest rates than most mortgages. 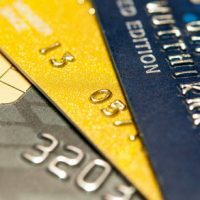 However, if you use a home equity loan or HELOC to consolidate credit card debt, you have essentially turned unsecured debt into secured debt. And you risk losing your home if you suffer a surprise financial setback and can no longer pay your debts. Although everything might be going well financially right now, you never know what surprises are right around the corner. For most people, their home is their largest asset. Instead of putting that asset at risk, you should consider bankruptcy instead, which can help you more forward with your life. At Nowack & Olson, our bankruptcy attorneys will review your finances to identify whether a bankruptcy is the best option for you. We can discuss the differences between Chapter 7 and Chapter 13 so that you can make an informed decision.